The rock shrimp (Sicyonia brevirostris) is a deep-water relative of the pink, brown, and white shrimp. However, these shrimp are different. Rock shrimp are known for their very tough, hard exoskeleton or shell that at one point prevented widespread marketing until a machine was invented to split the shell. Now they are widely available and very popular as fresh or frozen, whole, headless, shell-on, peeled, round, split, or de-veined products. The rock shrimp lives and breeds offshore of Cape San Blas. They have a life cycle different from regular shrimp and are harvested differently. Similar to deep-sea lobster, rock shrimp live, spawn, and are harvested in 120 feet to 240 feet of water. Harvesting is accomplished with reinforced trawl nets throughout the year. May and June are the months of heaviest production where it is not unheard of for a vessel to produce over 30,000 lbs of rock shrimp in a single trip. Properly handled rock shrimp will have transparent or clear white flesh with no discoloration. It is said that Rodney Thompson developed the rock shrimp fishery off Florida's east coast. A skipper of an NOAA boat conducting fisheries research off of Port Canaveral told Thompson about piles of shrimp in deep canyons about 20 miles off the coast. He followed the NOAA boat out, and soon thousands of pounds of shrimp were jumping around on his deck. However, their hard shells made them inconvenient to peel, so much so that there was no commercial market. Thompson was so enthused he designed a high-speed tail splitter and started Cape Canaveral Shrimp to process shrimp from a growing fleet of boats based in Port Canaveral that suddenly had a new species of shrimp to catch. To make sure the fishery was sustainable, the fleet stayed out of a vast area of deep-sea ivory coral reefs that was a nursery area for rock shrimp. By the late 1970s, Cape Canaveral Shrimp was handling about 5 million pounds of rock shrimp a year. In the 1990s, some Gulf Coast shrimp processors, who had figured out how to modify their mechanical peelers to peel rock shrimp, dispatched some of their boats to Cape Canaveral to enter the fishery. Landings quickly doubled and then tripled to almost 25 million pounds. When landings started to collapse, the Gulf boats started to tow their nets through the rock shrimp nursery areas, plowing "goat trails" through the leveled ivory coral. That's when Rodney Thompson started to plead with federal fisheries managers to implement a management plan for rock shrimp, one that called for a limit of the number of boats in the fishery and a ban on fishing in the environmentally sensitive nursery areas. Today, 10 years after the management plan was finally put in place; rock shrimp landings have bounced back to about 5 million pounds a year. Most of that haul is still processed at Cape Canaveral Shrimp. A commercial vessel permit and operator permit is required to fish for, sell, transfer, or possess rock shrimp in or from the South Atlantic EEZ. For a person aboard a vessel to fish for or possess rock shrimp in the South Atlantic EEZ off Georgia or off Florida, a limited access endorsement for South Atlantic rock shrimp must be issued to the vessel and must be onboard. An owner or operator of a vessel that has been issued a limited access endorsement for South Atlantic rock shrimp must ensure that the vessel has an NMFS-approved, operating Vessel Monitoring System (VMS) on board when on a trip in the South Atlantic. A dealer permit is required to receive rock shrimp. Dealers must only purchase rock shrimp from permitted vessels. 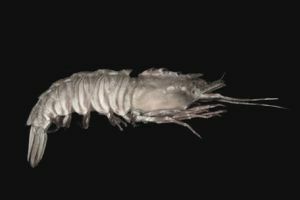 No persons may fish for rock shrimp in the Oculina Bank Habitat Area of Particular Concern (HAPC) located off the east coast of Florida. No person may possess rock shrimp in or from this area onboard a fishing vessel. The minimum mesh size for the cod end of a rock shrimp trawl net in the South Atlantic EEZ off Georgia and Florida is 1 7/8 inches stretched mesh. This minimum mesh size is required in at least the last 40 meshes forward of the cod end drawstring (tie off rings), and smaller mesh bag liners are not allowed. A vessel that has a trawl net on board that does not meet these requirements may not possess a rock shrimp in or from the South Atlantic EEZ off Georgia or Florida. Is There a Commercial Market for Cannonball Jellyfish?